Upon reading the Ronald Reagan quote above, for many Americans this will be the first time they ever heard of Friedrich Hayek. 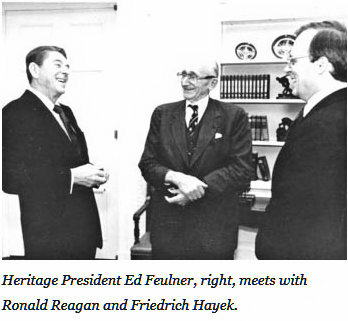 Reagan, who was foolishly underestimated by Progressive Democrats, knew who Hayek was. In 1980 Republican Ronald Reagan had defeated America's last Progressive President Democrat Jimmy Carter to become America's first Neoliberal President. By that time Reagan was the America's most effective spokesperson for Neoliberalism using the alternative reality game. In a market economy in which no single person or group determines who gets what, and the shares of individuals always depend on many circumstances which nobody could have foreseen, the whole conception of social or distributive justice is empty and meaningless. Nothing has done so much to destroy the juridical safeguards of individual freedom as the striving after this mirage of social justice. - Friedrich Hayek, 1973. We have simply got to learn, and preach, and practice what’s the good alternative to socialism. And we have to interpret this to a majority of adults in a way that is understandable and credible and attractive. Perhaps we need to step back a moment to answer a question many will have - who and what are Neoliberals? Unfortunately to answer that question we must wade into some history. In 1938 in Paris Friedrich Hayek and fellow exile from Austria Ludwig von Mises discovered a shared belief that Progressivism as manifested in social democracy was collectivism, an ideology that occupied the same spectrum as Nazism and Communism. In their view this less obvious enemy was exemplified by Franklin Roosevelt’s New Deal and the gradual development of Britain’s welfare state. At that time they coined the term Neoliberalism as a label for their view. Thus Neoliberalism came into being. Except that in 1938 it was a discussion between economic theorists in an academic setting. 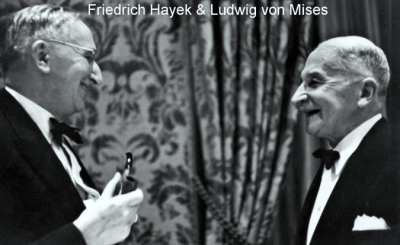 To avoid the Nazi's, Mises immigrated to the United States and Hayek to Britain. 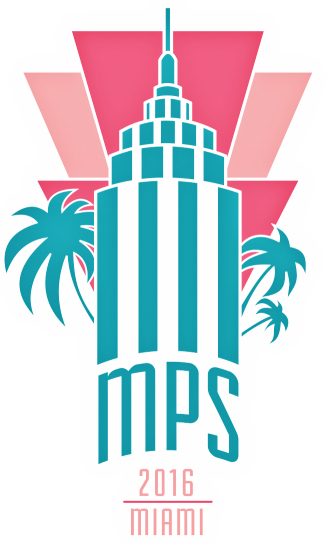 In 1947 Hayek, with Mises and others, founded in Switzerland their first "think tank" organization to spread the doctrine of Neoliberalism – the Mont Pelerin Society – supported by billionaires and their foundations. Charles Koch, one of the famous or infamous (depending on your point of view) Koch brothers, is a long-standing member. In order to be successful in countering the Neoliberal movement, Americans need to know they exist and about their ideology. It doesn't help that "liberal" is a meaningless and misused word in American political jargon. In the abstract, most Americans find it hard to disagree with Neoliberal free market spin. But in real life economics are complicated, particularly in the 21st Century. It begins with the fact that money and corporations are artificial creations of the government. Look at a dollar bill or any other denomination of U.S. currency and recognize they are Federal Reserve Notes with the words "this note is legal tender for all debts, public and private" printed on each note. A corporation exists by virtue of a charter or registration issued by a government granting certain rights and benefits not afforded a person. In other words, the 21st Century economy begins with and is based on government intervention. But that truth is lost on Neoliberals as they drive along the Interstate Highway system. Neoliberalism refers primarily to mid-20th Century ideas associated with economic liberalism which holds that the greatest possible number of economic decisions should be made by individuals or households, rather than collective institutions or organizations. Economic liberalism includes support for equality of opportunity based on the belief that a lack of equality of opportunity will lead to an increase in private monopoly and therefore infringed liberty of individuals. Economic liberalism opposes government intervention on the grounds that the state often serves dominant business interests, distorting the market to their favor and thus leading to inefficient outcomes. But Neoliberalism adds intangible fear to that. In a 1944 book The Road to Serfdom Hayek argued that government planning, by crushing individualism, would lead inexorably to totalitarian control. Or as to paraphrase his opinion quoted above, striving for social justice destroys individual freedom. Where after all do universal human rights begin? In small places, close to home - so close and so small that they cannot be seen on any map of the world. Yet they are the world of the individual person: The neighborhood he lives in; the school or college he attends; the factory, farm or office where he works. 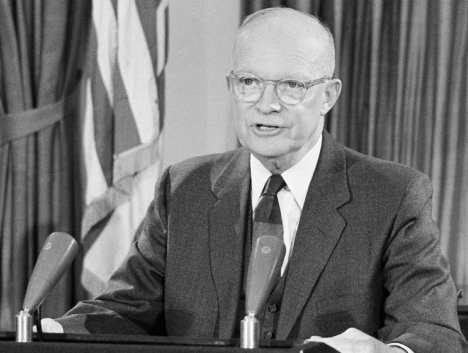 ...Our basic purposes have been to keep the peace; to foster progress in human achievement, and to enhance liberty, dignity and integrity among peoples and among nations. To strive for less would be unworthy of a free and religious people. Any failure traceable to arrogance, or our lack of comprehension or readiness to sacrifice would inflict upon us grievous hurt both at home and abroad. ...A huge increase in newer elements of our defenses; development of unrealistic programs to cure every ill in agriculture; a dramatic expansion in basic and applied research—these and many other possibilities, each possibly promising in itself, may be suggested as the only way to the road we wish to travel. But each proposal must be weighed in the light of a broader consideration: The need to maintain balance in and among national programs—balance between the private and the public economy, balance between the cost and hoped for advantages—balance between the clearly necessary and the comfortably desirable; balance between our essential requirements as a nation and the duties imposed by the nation upon the individual; balance between actions of the moment and the national welfare of the future. Good judgment seeks balance and progress; lack of it eventually finds imbalance and frustration. ...Only an alert and knowledgeable citizenry can compel the proper meshing of the huge industrial and military machinery of defense with our peaceful methods and goals, so that security and liberty may prosper together. In this revolution, research has become central; it also becomes more formalized, complex, and costly. ...In holding scientific research and discovery in respect, as we should, we must also be alert to the equal and opposite danger that public policy could itself become the captive of a scientific-technological elite. It is the task of statesmanship to mold, to balance, and to integrate these and other forces, new and old, within the principles of our democratic system—ever aiming toward the supreme goals of our free society. Another factor in maintaining balance involves the element of time. As we peer into society's future, we—you and I, and our government—must avoid the impulse to live only for today, plundering, for our own ease and convenience, the precious resources of tomorrow. During the long lane of the history yet to be written America knows that this world of ours, ever growing smaller, must avoid becoming a community of dreadful fear and hate, and be, instead, a proud confederation of mutual trust and respect. joined a community of dreadful fear and/or hate. Frustrated with the anti-Progressive direction the U.S. seemed to be taking despite the previous warnings, in 1977 (his first year in office) Nobel Peace Prize winner President Jimmy Carter on behalf of the United States signed the 1966 International Covenant on Civil and Political Rights and International Covenant on Economic, Social and Cultural Rights. At that time, he submitted both to the Senate for ratification. The International Covenant on Economic, Social and Cultural Rights has never been ratified by the U.S. Senate because of overwhelming opposition from Neoliberal ideologues. 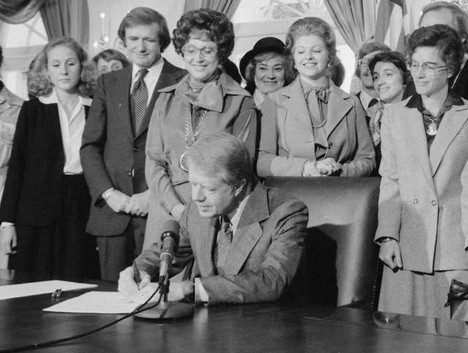 The International Covenant on Civil and Political Rights was ratified by the Senate with reservations in 1992, 15 years after Carter signed it. Now that the US has taken this important step, however, it must not create doubts about its dedication and adherence to the Covenant by sanctimoniously picking and choosing among the provisions to which it will adhere. President [George H. W.] Bush officially took exception to some Covenant provisions that conflict with domestic laws, including one on juvenile executions. The Bush administration wants to reserve the right to allow states to continue to execute juveniles. The only other nations that execute their young are Iran, Iraq, Pakistan, Bangladesh, and Nigeria. New legislation is now required to make US law conform with the Covenant and with international law on this and other points. Ratification of the ICCPR provides an excellent opportunity for the US to strengthen civil liberty provisions in domestic legal codes and affirm that international standards, such as treaties, prevail as the law of the land. Ratification also induces our government to examine more closely the reasons for the upheaval that has shaken the US in the wake of the Rodney King verdict. Racial discrimination, police brutality and the inadequate response from the federal government to this problem, and the economic and social marginalization of African-Americans and other minorities are issues that demand immediate attention. ...The US has yet to ratify several other widely accepted human rights treaties, including the International Covenant on Economic, Social, and Cultural Rights. This Covenant, along with the ICCPR and the Universal Declaration of Human Rights, completes the International Bill of Rights. Those who oppose the ratification of the second Covenant believe governments have no obligation to safeguard the rights of their citizens to jobs, education, housing, and an adequate standard of living. Recent events illustrate the tragic flaws of such thinking. Also awaiting action by the Bush administration and the Senate are the American Convention on Human Rights, which I signed in May 1977, the Convention on the Elimination of All Forms of Racial Discrimination, and the Convention on the Elimination of All Forms of Discrimination Against Women. Even the Convention on the Rights of the Child has not yet been signed by the US. In politics, the Third Way is a position akin to centrism that tries to reconcile right-wing and left-wing politics by advocating a varying synthesis of right-wing economics and left-wing social policies. The Third Way was created as a serious re-evaluation of political policies within various centre-left progressive movements in response to international doubt regarding the economic viability of the state; economic interventionist policies that had previously been popularized by Keynesianism and contrasted with the corresponding rise of popularity for economic liberalism and the New Right. ..."Third Way" presidents "undermine the opposition by borrowing policies from it in an effort to seize the middle and with it to achieve political dominance." ...The Third Way think tank and the Democratic Leadership Council are adherents of Third Way politics. What that "win at all cost" values-compromised Third Way implied is a tacit agreement by the Democrats that using "say whatever they want to hear" populist politics focused on the anxiety and anger is OK, even if it meant embracing Neoliberal economics. That is why Democratic protests about Donald Trump's 2016 campaign rang hollow. Ironically, Keynesian economic theory which was the standard economic model in the Progressive period during the later part of the Great Depression, World War II, and the post-war economic expansion (1945–1973) fell out of favor as Neoliberal ideology gained - until the financial crisis of 2007–08 caused a brief resurgence in Keynesian thought among some Democrats. But Neoliberal ideas soon pushed that away with virtually no resistance from the National Democratic Party. In what can only be called a remarkably clever strategy, "Neoliberalism" has not become a household word in the United States even though it has captured the economic policies of the Republican Party and Third Way Democrats. Most Americans have no idea what it is and did not hear the term Neoliberal or Neoliberalism mentioned once on any news show on TV in the entire election year of 2016. Neocon maybe. But Neoliberal, no. Yet, in 2017 it remains the most powerful political movement in the United States. Over the weekend of June 24, 2017, at the luxurious Broadmore Hotel in Colorado Springs, a group who care deeply about government policy in these United States attended an annual retreat to review their strategy and plans for the future as they do every year. COLORADO SPRINGS—The wealthy donors who finance the Koch network are frustrated that national Republicans are not doing more to capitalize on having unified control of the federal government. But at their summer seminar here in the Rocky Mountains, which wrapped up last night, many were ecstatic—even giddy—about significant conservative gains that have been made this year in state capitals across the country. 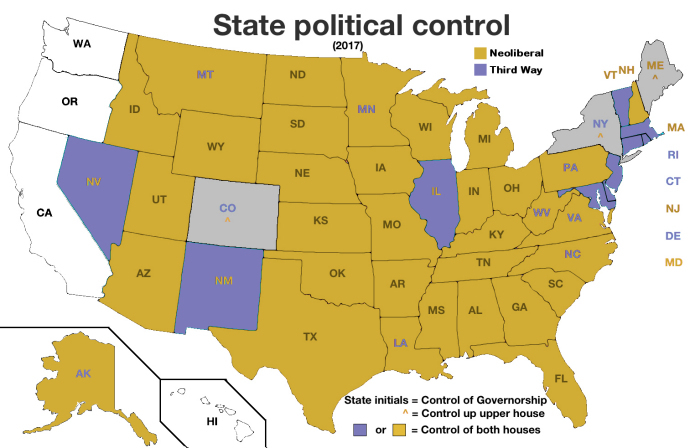 Republicans now control the governorship and legislature in 25 states, compared to only six states for Democrats. Last November, the GOP seized all the levers of lawmaking in four new states – Iowa, Kentucky, Missouri and New Hampshire – making it much easier to pass far-reaching legislation. The network, led by the billionaire brothers Charles and David Koch, has spent hundreds of millions of dollars on low-profile races and building out grassroots operations in 36 states over the past decade. In 2017 alone, several of these states have reduced union power, scaled back regulations, cut taxes, blocked Medicaid expansion, promoted alternatives to public education, loosened criminal sentencing laws and eased requirements to get occupational licenses. Because President Trump is such an all-consuming story, most of these moves received scant national attention. 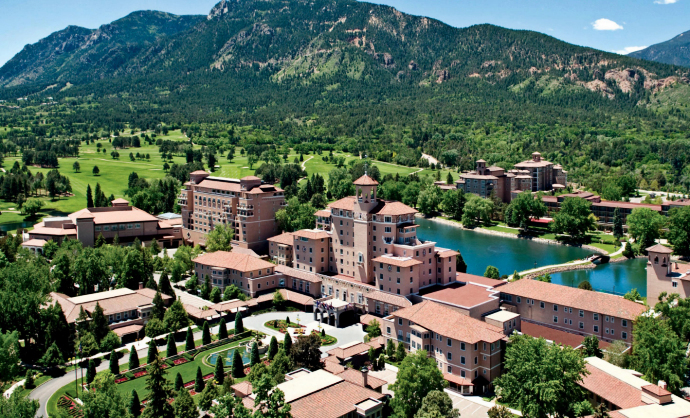 But the 400 donors who descended on the Broadmoor resort over the past few days have been paying close attention and are keenly interested in the outcome of these state-level fights. “We’re coming off the most successful legislative session that this network has ever had, and it’s a result of your investments,” added Luke Hilgemann, chief executive of Americans for Prosperity, which is part of the constellation of Koch-funded groups. Right now the highest Neoliberal office holder is Vice-President Mike Pence, former president of the Indiana Policy Review Foundation, one of hundreds of "think tanks" set up to spread Neoliberalism. ...The latest danger for freedom is the spread of Populism in our democracies, be it of the democratic kind or of those who use our liberties to try to destroy our freedom. We Pilgrims of Liberty have much to contribute to the fight against this new plague, because much of it originates in the realm of ideas. ...In fact demagogues have it so easy because the people have been fed with unfeasible promises of welfare: They have promised good free education, quality free healthcare, ample free pensions, no attention paid to cost or incentives. They have even been promised the end of the business cycle and unemployment. When voters discover they have been tricked, they grow angry and turn to even more irresponsible dreamers. As regards the people, not all is gloom and doom, however.... So, if a gullible people are not wholly to blame for the dangerous flirting with utopia that we are witnessing in so many lands, who is? ...Why do the traitorous clerisy have such a wide hearing and the demagogues such a large following? Is there no hope? Of course there is. We have the best ideas to win the battle against the traitorous clerisy. The battle of ideas is as crucial as it was in 1947, when Hayek founded the Mont Pelerin Society. Not only in the media and the social networks, but also in the Universities, the learned journals, the films, the novels, the theatre. We Montpelerinians have our work cut out. Never forget: truth will prevail if the seekers for truth do not Falter. As stated before, Charles Koch is a long time "Montpelerinian." The "devils" label has been assigned by "liberals" to the billionaire Koch brothers. If you think you know who the Koch brothers are, consider this article: Koch brothers partner with Deion 'Primetime' Sanders to fight poverty. You need to know the Koch brothers are no more evil than their liberal accusers. The Koch network’s efforts to influence the Trump team were aided when the White House hired several Koch-affiliated alumni as key aides for a president who arrived without any government experience or a deeply staffed bench. “The vacuum in Trump not having his own network is filled by people who’ve been cultivated for years by the Koch network,” said Richard L. Hasen, a professor at the UC Irvine law school and an expert in campaign finance. Still, it is the work of Neoliberals in the 50 states that matters as reflected in this map. Though the seeds of the Neoliberal movement were planted in 1938 and 1947, a number of wealthy businessmen and conservative economic philosophers formed societies, institutes, and foundations to spread their views and influence politics in the United States and Europe. 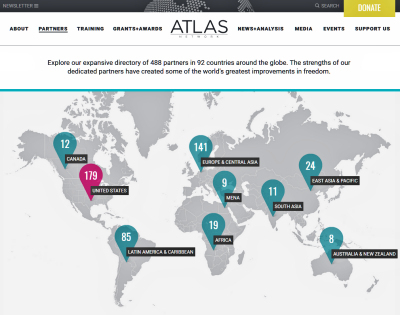 To more effectively coordinate their message, in 1981 the Atlas Network was created which today has 179 affiliated organizations in the United States (click on the image to the right to access through the Atlas Network website a list of those organizations). The early U.S. organizations, many describing themselves in the press as "think tanks" included among others The American Enterprise Institute, The Heritage Foundation, The Cato Institute (founded as the Charles Koch Foundation in 1974), the Pacific Research Institute, and The Heartland Institute. 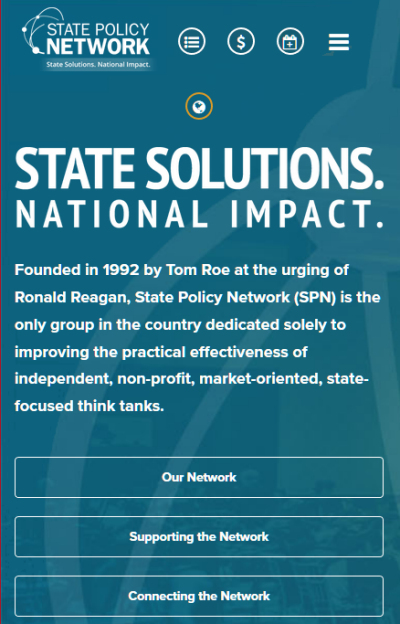 After the election to the Presidency of long-time Neoliberal advocate and spokesman Ronald Reagan, a network of state-level "think tanks" was establiehd in 1992 across the United States called the State Policy Network (SPN). SPN groups operate as the policy, communications, and litigation arm of the American Legislative Exchange Council (ALEC), drafting ALEC "model bills" which are then presented as "local" legislation. This allowed the U.S. Neoliberal movement to more effectively spread their views and influence in state government policy in the United States which also leads to gaining control within the U.S. Congress. If you click on the image to the left you can access through the SPN website a directory of its "affiliates" and "associates." As we note in these pages, "Neoliberalism" has not become a household word in the United States even though it has captured the economic policies of the Republican Party and Third Way Democrats. Most Americans have no idea what it is and did not hear the term Neoliberal or Neoliberalism mentioned regularly, or in many cases even once, on news show on TV in the entire election year of 2016. Neocon maybe. But Neoliberal, no. As of August 2016, SPN eliminated a directory of 111 "other organizations" on its website.